Ronald Berry, a Fayetteville native, graduated from the University of Arkansas with a B.S.BA in accounting, and has worked in the tax and accounting field for over 50 years. Anabelle Steelman-Berry has over 20 years of experience in tax preparation, has passed the IRS registered tax return preparer exam, and has met the requirements to participate in the IRS Annual Filing Season Program. Whether yours is a personal return, a farm, partnership, or corporation, we can provide all of your tax planning and preparation needs. 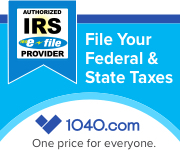 We offer every client a personal interview, and search for every legally available deduction. In our office, YOU are our most important client!